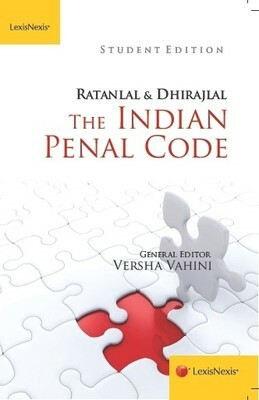 Ratanlal & Dhirajlal’s The Indian Penal Code is a basic text for the fundamental understanding of the criminal law in India. Criminal law, the world over, is in a state of flux. Scientific and technological advancement is changing our perception about life, lifestyle and social, economic and familial relationships. This is giving rise to new theories, reasoning and justifications, which in turn, are challenging and changing the traditional underlying notions of criminal law. This is evident in the rise of cyber-crimes, the emergence of new theory of punishment (rehabilitation and reformation), introduction of compensation jurisprudence to criminal law, addition of new offences especially against women, the recognition of rights of prisoners, detainees and undertrials etc. The present book has taken extra efforts to capture the new developments while twigging along the elements of criminal law. The book encapsulates all the basic and bare provisions of the Indian Penal Code, along with the most recent and relevant cases, in such a manner that it is all comprehensive and does not require the reader to research in different sources, thereby, saving precious time and effort.